Business and privacy go hand in hand. Especially when it comes to email. Spike EEM (encrypted email messaging) lets you share information freely without worrying about cybercriminals, hackers, or other bad guys who might be lurking. With a single click, AES256 encryption keeps your email secure so you can focus on other things. 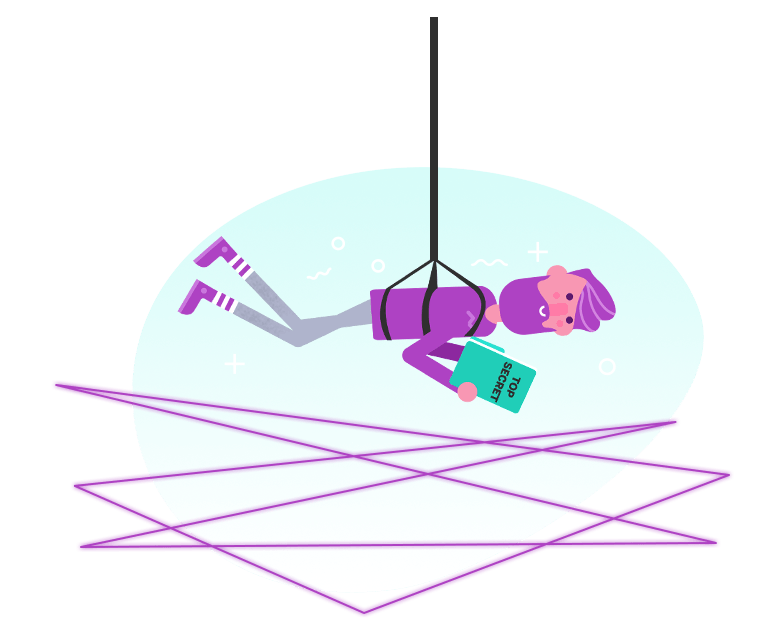 Whether sending highly sensitive financial data, client contact details, or simply an invite to a party, our Super Stealth Encryption keeps everything safe and sound. Need extra security when sending passport copies? Fine. Need to email sensitive contracts or applications? We’ve got you covered. 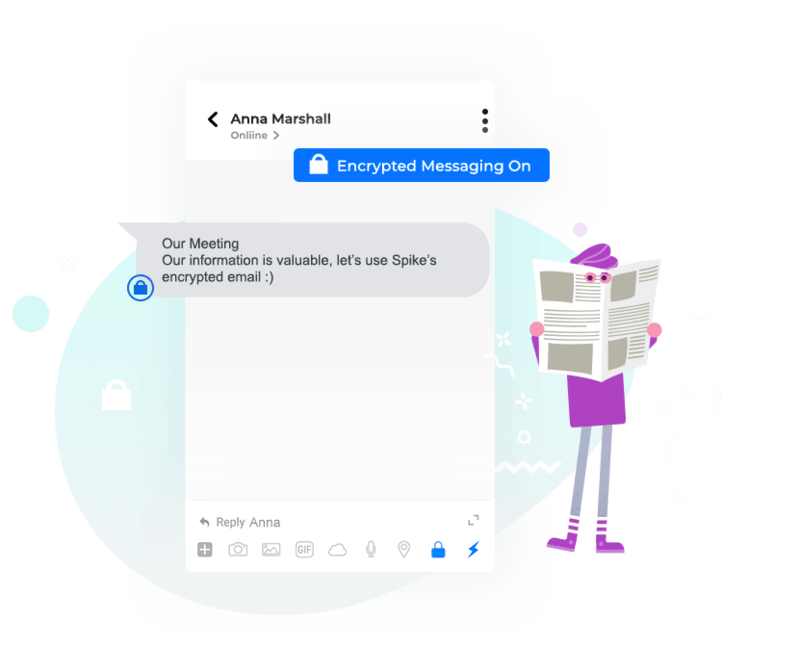 We’ve designed Spike's email encryption to be simple to use, so you can quickly toggle between regular email and secure email using the lock button. No need for codes or passwords. When active, the message and all attachments are safely encrypted. Encrypted messages are seamlessly visible to all participants using Spike and one tap away for non-Spike users. 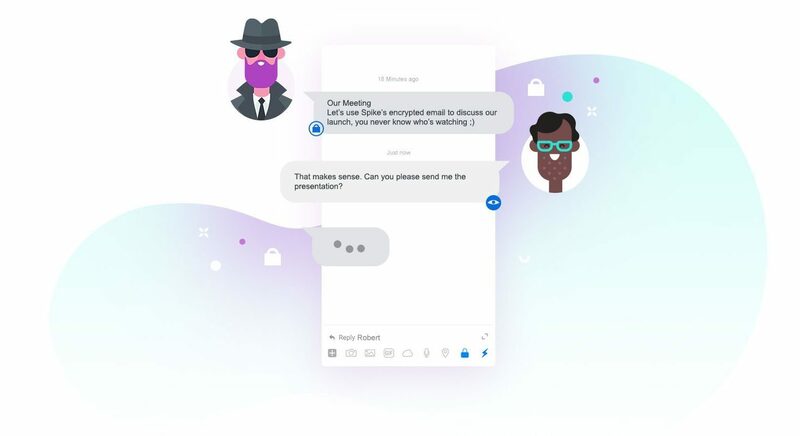 At the other end, Spike decrypts the email automatically—so any of your fellow Spike users will see your encrypted email just like they would a normal mail. You can easily tell when EEM is turned on by the blue lock icon at the bottom of the message. For users not currently using Spike, a single click decrypts the email and displays the information contained. It’s really that easy. Security is extremely important to us, and we’ve developed our Super Stealth Encryption to ensure your words are always safe. We took care of making your email more secure so that you can worry about more important things. Privacy and security are core tenets of good business. You need to protect sensitive data and keep it out of the hands of hackers and phishers. Spike puts you in control of your data, providing on-demand encryption for everything important to you. Easy to use and always safe. Super Stealth Encryption provides the ultimate in security for your business. You can rest assured that anything you send is secure with EEM from Spike.